Part of Metro's Red Line will be shut down between Silver Spring and Fort Totten for the two weeks after Thanksgiving Day, and scheduled train service will be reduced along the rest of the line. WASHINGTON — Part of Metro’s Red Line will be shut down between Silver Spring and Fort Totten for the two weeks after Thanksgiving Day, and scheduled train service will be reduced along the rest of the line. 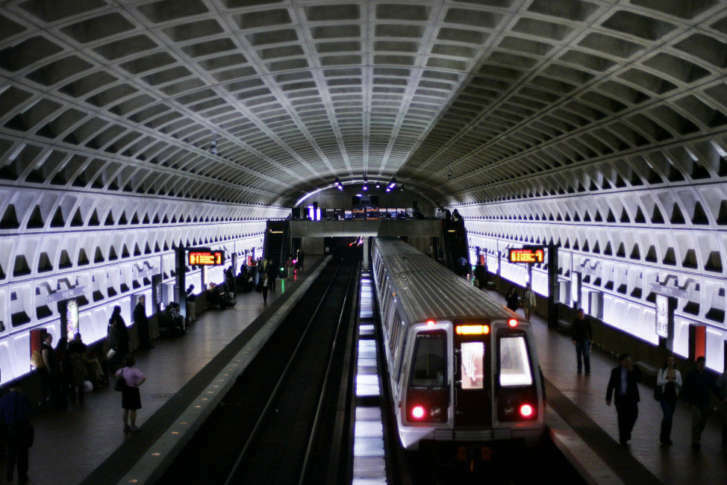 The complete shutdown for critical repairs that Federal Transit Administration reports suggested are urgently needed will run from Saturday, Nov. 25 through Sunday, Dec. 10. Takoma Metro station will be closed from Nov. 25 through Dec. 10, and fewer trains than usual will be scheduled along the length of the Red Line. Between Glenmont and Silver Spring, trains are scheduled every 12 minutes at rush hour rather than the usual eight minutes during the work zone. Between Shady Grove and Fort Totten, trains are scheduled every 10 minutes. Additional trains that typically run between Grosvenor-Strathmore and Silver Spring during rush hour will instead run between Grosvenor-Strathmore and NoMa-Gallaudet. On the weekend of Dec. 2-3, all Red Line stations between Fort Totten and Glenmont (Takoma, Silver Spring, Forest Glen, Wheaton and Glenmont) will be closed for additional track work. Metro still plans other weekend track work on other lines during this shutdown. Metro plans to replace a complete interlocking near Takoma where trains cross from one track to another. A train derailed in July 2016 at a similar interlocking where rail ties had withered and crumbled, allowing the tracks to slide too far apart, prompting systemwide inspections and an extension of round-the-clock work zones. Other work planned during the shutdown includes replacing other rail ties, installing some new rail, and upgrading certain signals and cables. Metro plans to run a limited number of shuttle buses between Silver Spring, Takoma and Fort Totten “for riders with no other travel alternative.” Using those shuttle buses is expected to add significant time to trips, especially at the busiest times of day when there could be lines to board. The agency is urging riders who typically board the Red Line at Glenmont, Wheaton, Forest Glen or Silver Spring to instead use Grosvenor-Strathmore, White Flint or Twinbrook. Riders should also consider using Green Line stations such as West Hyattsville and Prince George’s Plaza. The Metro parking garages at Twinbrook, Prince George’s Plaza, College Park and Greenbelt typically have hundreds of spaces available. Depending on the final destination, the numerous bus routes that head downtown from Silver Spring may offer the most direct trip. For example, the S-lines run down 16th Street and the 70s lines run down 7th Street. Other rush-hour options include MARC’s Brunswick Line, which stops at Rockville, Kensington, Silver Spring and Union Station. MARC expects crowding during the Metro shutdown and said boarding will be stopped if trains are overcrowded. One-way trips between Union Station and Kensington or Silver Spring cost $5 when purchased before boarding. Weekly tickets cost $37.50 and include free Metrobus or RideOn trips. There is typically no parking available at the Kensington station after 7:30 a.m. Even for regular MARC riders, the additional scheduled waits for Red Line trains at Union Station could make Metrobus or DC Circulator a better choice than the train in D.C.
For riders who typically use Takoma station, the 50s-lines run down 14th Street to Metro Center, Federal Triangle, Smithsonian or L’Enfant Plaza and the 63 runs between Federal Triangle, U Street, Georgia Avenue-Petworth and Takoma. RideOn also runs several bus routes between Silver Spring and Takoma, including Route 18 between Langley Park and Silver Spring. The easiest alternative for some people if the weather cooperates may be biking. From Takoma station to Fort Totten is about 2 miles, mostly downhill. The ride from Takoma Station to Silver Spring station is a similar distance and can be done on an only somewhat uphill route. The weekend of Dec. 2-3 — when there is an even longer stretch of the Red Line shutdown — Metro will run limited shuttle buses to all stations. Regular Metrobus or RideOn service may provide a better alternative. Regional leaders urge anyone who chooses not to take Metro during the shutdown to carpool if at all possible, rather than further clogging the roads by driving alone. The next round-the-clock Metro shutdown is scheduled for May 12-27. Huntington and Eisenhower Avenue stations will be closed on the Yellow Line for another interlocking and concrete project. During that work, Yellow Line trains will run to Franconia-Springfield instead. Metro continues to schedule separate significant work each weekend, including shutdowns on the other side of the Red Line for water seal work and continued weekend single-tracking for the Blue, Orange and Silver lines through Rosslyn.